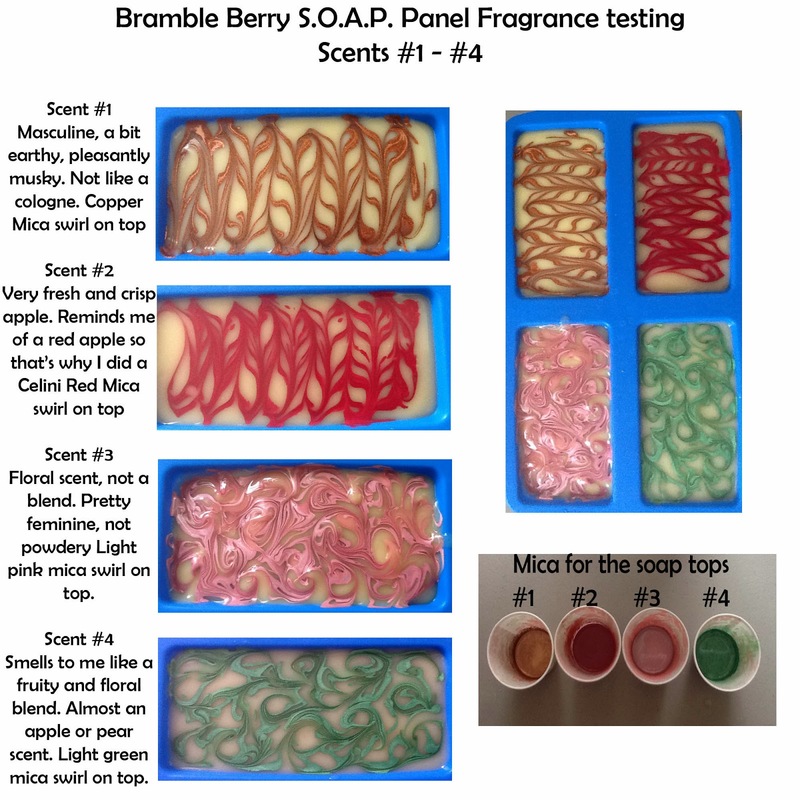 So... after my initial thoughts on the Bramble Berry mystery fragrances, I have soaped with fragrances 1-4. I haven't read back to see what my first thoughts were, so it will be interesting to me if they're the same now. I still really like all four of these fragrances. My favorites are #1 and #4. I love the apple, and the floral is quite nice for a floral (not big on florals.. as you may well know by now). They were all well behaved, very minor acceleration in two of them, not hard to work with at all. I will be uploading a video to my YouTube of the soaping process with these four soaps. Stay tuned for the next four (not looking forward to #5)!! Comments are always welcome! I'd love to hear what you think about my pictures or posts.. whatever. This is an ongoing tale about a SAHM of 3 beautiful children who goes on a journey of soaping! All images contained herein are the sole property of Shannon Martell and Smellicious Soaps. Ethereal theme. Theme images by nicolecioe. Powered by Blogger.